What couples feel on their wedding day is magical. It’s that special day when they celebrate their love for each other with family and friends. After vows are exchanged and the marriage is offi­cial, everyone gathers at the reception to celebrate all those magical moments. Guests congratulate the newlyweds, enjoy some snacks and a beverage, and mingle until it’s time for the wedding toast. Most couples today do not want a traditional wedding, but rather a celebration that represents what is most important to them. Modern day weddings are different than those of past generations. Social media and wedding publications offer enough ideas to plan every detail for a wedding and reception. When it comes to the wedding toast, couples want theirs to be unique and captivating. Fortunately, there is a new sparkling wine available that offers exactly what many couples desire; it’s Blanc de Bleu Cuvee Mousseux, the world’s first blue sparkling Brut. This magical bubbly is elegant, full of charm, and original. 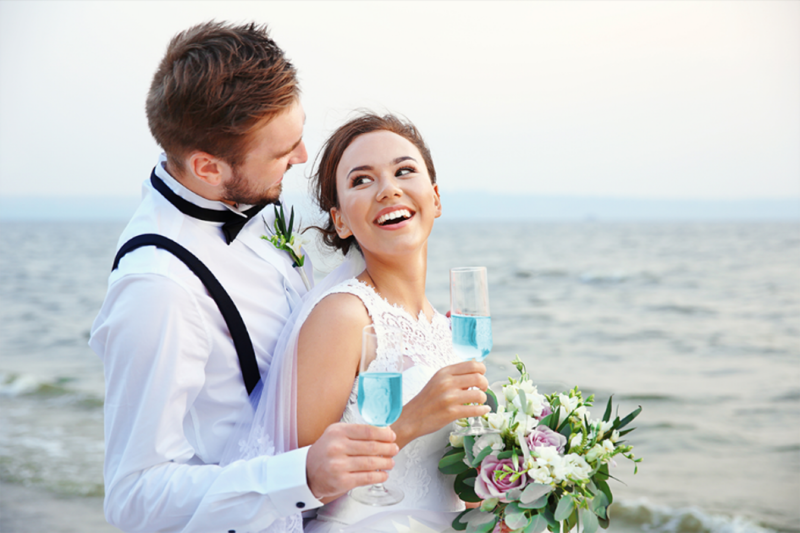 For this reason, couples from around the globe are having their own love affair with Blanc de Bleu, a dry and crisp sparkling wine with a hint of blueberry on the finish. 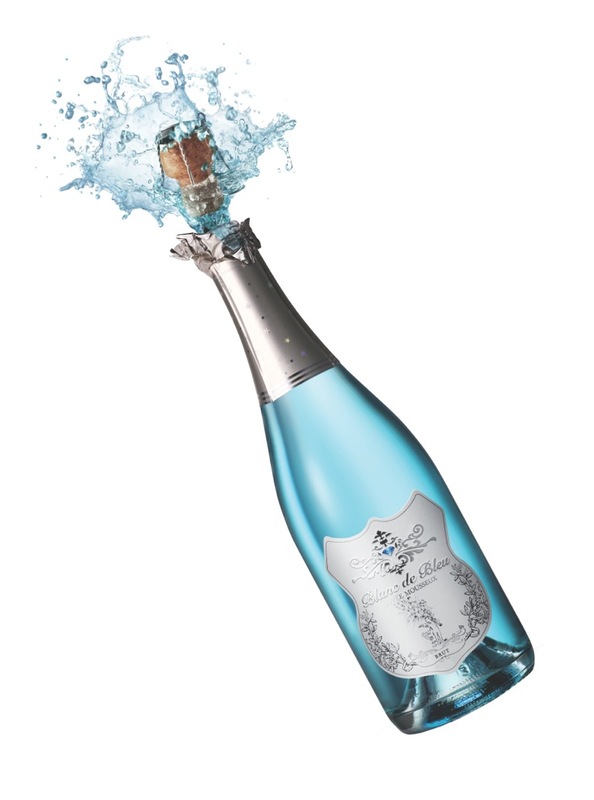 You can visit facebook.com/BlancdeBleu to read their 5-Star reviews, or better yet, visit BlancdeBleuUSA.com to purchase Blanc de Bleu online or locate a nearby retailer to buy a bottle and taste for yourself. 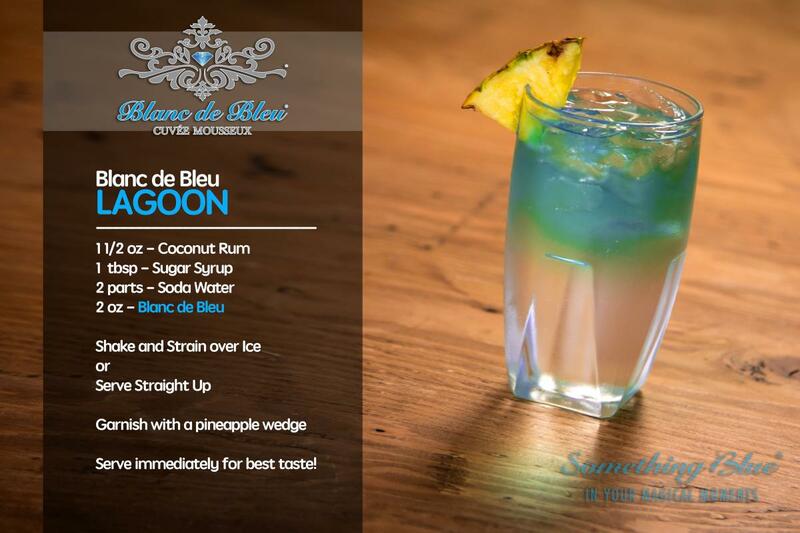 Blanc de Bleu is enjoyed at weddings and other special events throughout the country. People who prefer the dry and crisp taste of a Brut will savor every sip of Blanc de Bleu. When you read the favorable comments posted on Blanc de Bleu’s social media sites, it’s evident people like this blue bubbly. 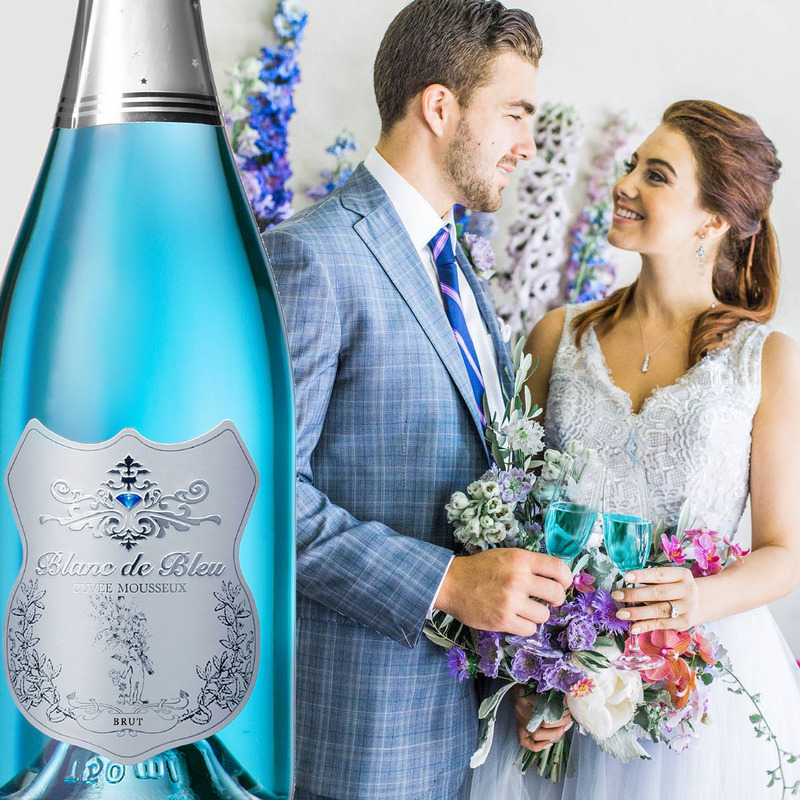 Aside from its irresistible taste, Blanc de Bleu’s elegant label and tiffany blue color inside a striking bottle is the allure for couples who want Blanc de Bleu for their wedding toast. For this is the moment when there’s a human spirit that embraces and connects everyone present. 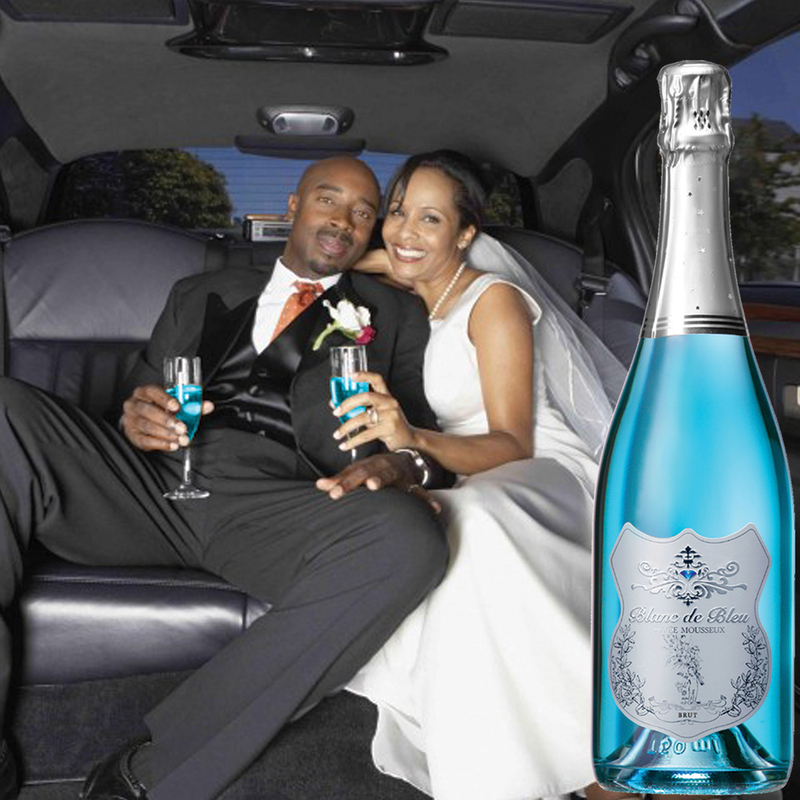 The newly married couple wants their toast to be memorable, and it will be with Blanc de Bleu. Family and friends raise their glasses filled with a beautiful blue sparkling wine. Glasses clink in a sea of blue, guests take a sip of Blanc de Bleu, and smile with delight as they salute the newlyweds. Made with grapes grown in Northern California vineyards, known for their cool and clear breezes, Blanc de Bleu tickles the palate with a subtle hint of blueberry. “The base wine of cuvée for Blanc de Bleu is the same fruit used in our high-end, methode champenoise programs,” explains Bob Stashak, champagne master for Blanc de Bleu. “People are more pleasantly surprised to find the wine dry and crisp, instead of being another overly sweet, flavored wine.” Blanc de Bleu is something bleu for your magical moments. Sparkling Blue Signature Cocktails Anyone?